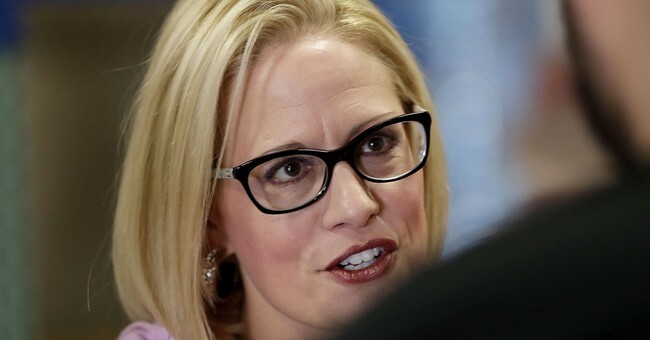 It’s not been a good week for Arizona Democrat Kyrsten Sinema. Sinema, a Democratic congresswoman, is running in the Senate race against Republican Rep. Martha McSally. Sen. Jeff Flake (R-AZ) decided not to run for re-election because his approval numbers are total garbage. The state has been trending blue. It was going to be competitive, but the nasty Supreme Court battle over Brett Kavanaugh might have motivated the GOP base. We’re starting to see a bump across the country. According to law-enforcement records, Rivera was kicked out of a restaurant matching the address of Democratic gubernatorial candidate David Garcia's primary election-night party. Well, that sure is an unsavory bunch, huh. In the meantime, down ticket, incumbent Republican Gov. Doug Ducey is holding a strong 17-point lead over his Democratic challenger.